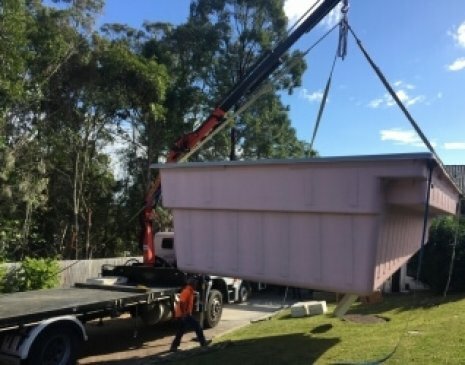 We provide mobile crane truck hire and transport services in South East Queensland, including Gold Coast, Brisbane, Toowoomba, Sunshine Coast and Northern New South Wales regions. 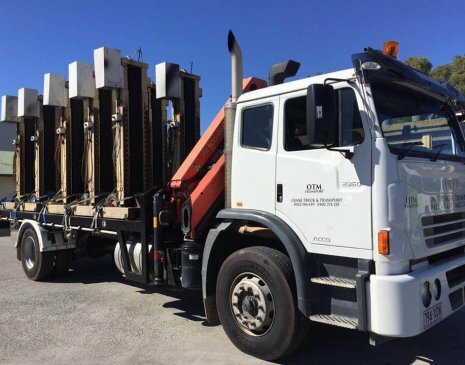 We have a mixed fleet of trucks, including crane trucks, flatbed trucks, semi trucks and semi crane trucks ranging from 6 to 24 tonne carrying capacity. Our mobile cranes have lifting capacities from 1 to 10 tonne and crane extensions from 1 to 30 meters in length. 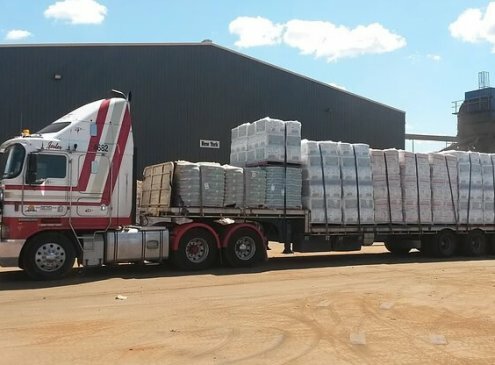 We transport and crane machinery, steel, timber, concrete products, signs, 20’ and 40’ containers, installation of traffic lights and all general freight. All of our crane trucks and vehicles have certified lifting equipment to provide a safe working environment for everyone. Our main focus is to provide professional customer service, crane truck hire and transport service in the industry. Our mobile crane trucks for hire makes it easy to crane and transport products out of restricted areas. By using our crane truck services, we will save you time, money and take the hassle out having the right equipment to load and unload your products. Self-loading and unloading crane trucks are the most effective way to get your deliveries done efficiently. All of our drivers are experienced and ticketed to provide a premium and safe crane truck hire service. We have specialised crane trucks for hire that can lift up to 10 tonnes and cranes that extend up to 30 meters. Whether you need 1 tonne lifted or a 10 tonne lifted – we have got you covered. We can transport and crane your products into place or install products on your required projects. 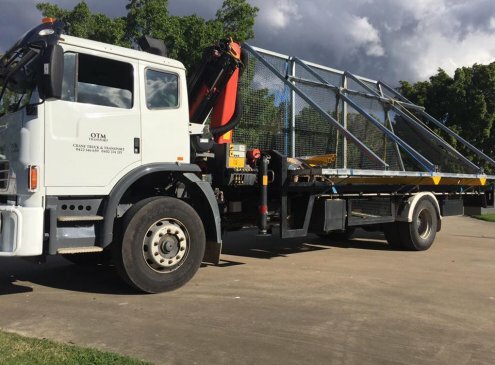 On The Move Transport is the leading crane truck hire and transport service provider in South East Queensland by offering our clients value for their business. We have a range of flatbed trucks for hire with different tray sizes and carrying capacities. The smaller flatbed trucks can handle up to 6.5 tonnes, while the semi flatbed trucks can take up to 24 tonnes in carrying capacities. 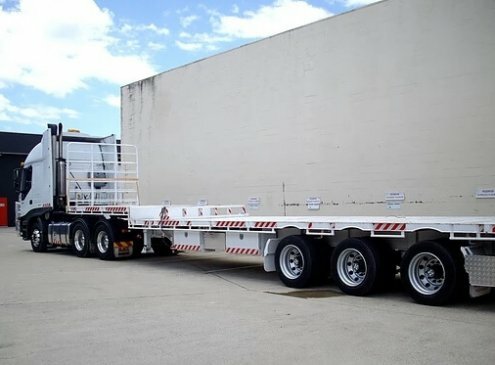 Flatbed trucks are perfect to transport just about anything, from pallets to long lengths of steel and timber. Get in touch with us today to see what we can do for you ! All of our crane trucks and vehicles are well maintained and clean to be able to provide our clients with a reliable service. If it’s a crane truck hire or transport solution you need – make sure you give On The Move Transport a call today for an obligation free quote. 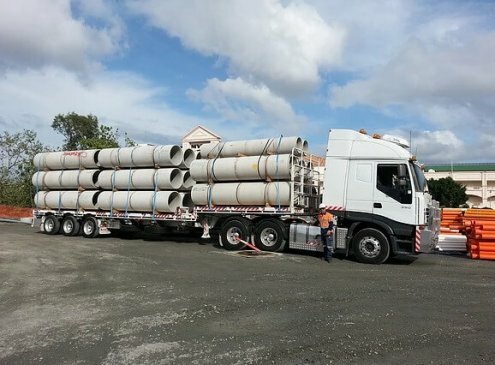 It doesn’t matter where you’re located, whether it’s Brisbane North side, Gold Coast or the surrounds, our crane truck hire and transport hire services are unsurpassed. With years of experience in the industry assisting clients for a variety of projects and applications, we understand the importance of keeping our machinery in premium condition. On The Move Transport – Crane Truck Hire & Transport Services. Toowoomba, Sunshine Coast, Noosa and Interstate. Crane truck, Flatbed truck, Semi truck, Semi crane truck for hire. For all your crane and transport needs.